The scope of logistics has grown enormously beyond its original association with the movements of military troops. As we said, the spirit of logistics lies in movement which is a process. A process is a series of consequent actions moving towards a specific goal. Logistics in essence deals with the movements of goods and services from the places of origin, of production to the places of consumption. It must have been clear by now that logistics is an inevitable tool of business and trade which solely rely on the production, distribution and consumption of goods and services. Living we know implies consuming goods and services. Simple as it appears, it says some fundamental facts of living, both personal and professional which includes all the means of earning money to survive, to say the least. Right kind of food at the right time indicates basic physical necessities; getting them in time with no problem is an index of physically good state of being. Being able to produce them and provide them to the needy with no problem ever is an index of commercial viability of a society. Both the processes are inseparable for a general living. The first one deals with physical health of human beings and the second one deals with economic health of the society which is only the total number of human beings living at a given period. Logistics is mainly concerned with the economic condition of a society, economic �health� of a society. What are the measures of social economic status? Traditionally, the measure of economic and social development has been what is called the Gross Domestic Product (GDP). This GDP is a complex one and it is not required now to go into all intricate dimensions of this parameter of assessing economic and social development. Let us look at the general aspects of GDP. 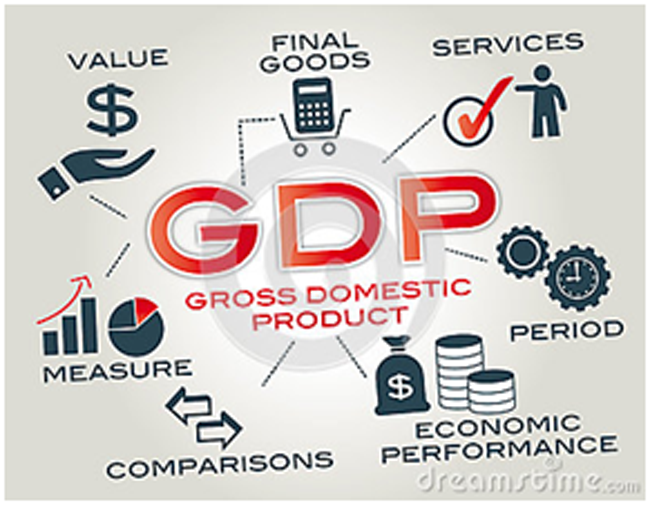 GDP stands for total monetary value, the market value of all the finished goods and services produced in a given period. If there are 100 people in a society, for example, and each one is able to produce goods or provide service worth Rs 100 per day, then, the GDP of the society for a week will be 100 x 100 x 7 = 70,000. Usually, GDP is compared for a year; but, now, comparison is made for a quarter or half-yearly. The GDP of the society for a week is considered to have grown if the total market value happens to be Rs 77,000. It has registered 10% growth. Negative records are also possible if the GDP decreases. Increase in GDP is said to reflect growth in the economy of the society and decrease in GDP is said to reflect downward trend of economy of the society. If the production and distribution of the products to the consumers have been carried out efficiently, the value of the business, the trade is effective and productive; it means efficient logistics brings in effective trade. So, it is easy to see the connection between logistics and the economy of a society. On the same line, there is GDP of the nation also and by extension there is international GDP for consideration. We will look into the GDP of a country and the details thereof in our next session.